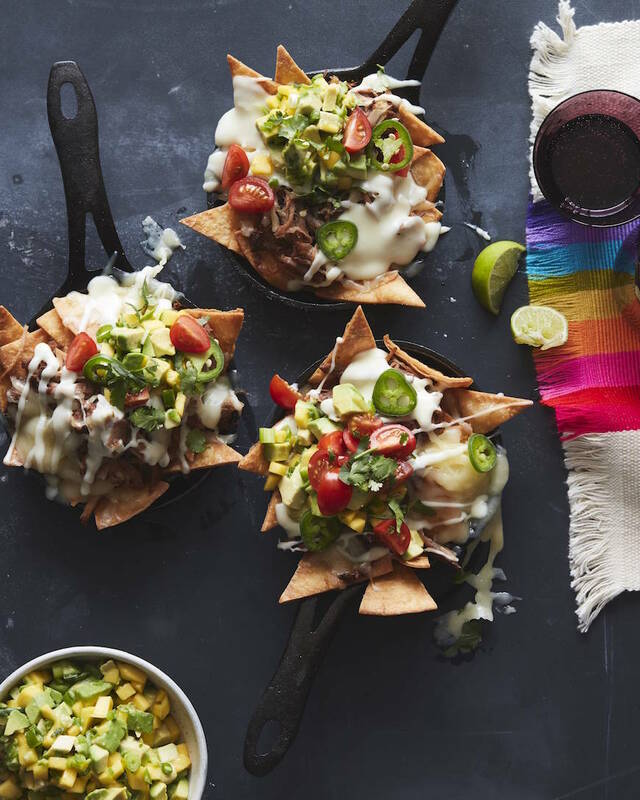 It’s been 2 weeks of epic game day recipes here on WGC and coming in hot right before the game are these Carnitas Skillet Nachos! Where do I even begin!!! You’ll need one a handful of things to spice up game day, all of which you can grab at your local supermarket. 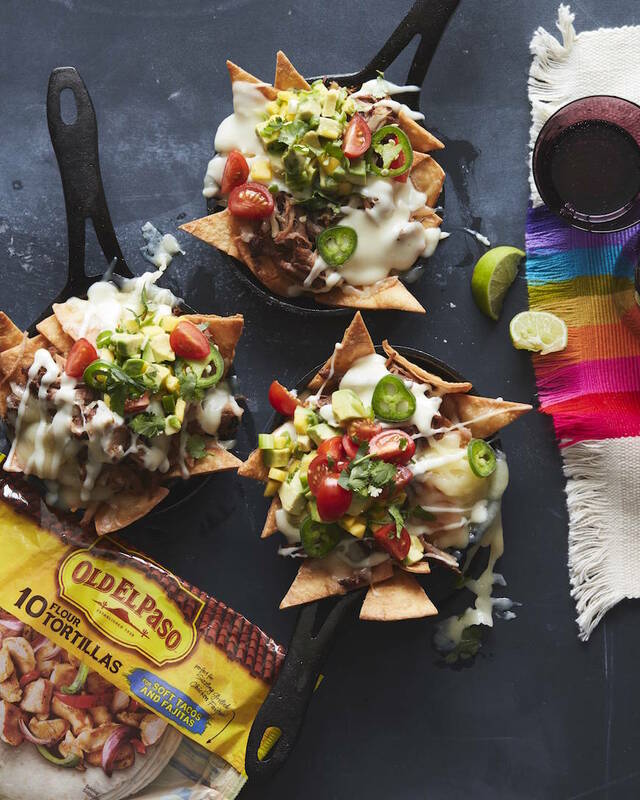 These mini skillets are composed of layers of freshly fried Old El Paso™ Flour Tortillas. Have you have flour tortillas made into chips? Life changing. Most people have one had corn tortilla chips – but the flour based chips are out of this world. 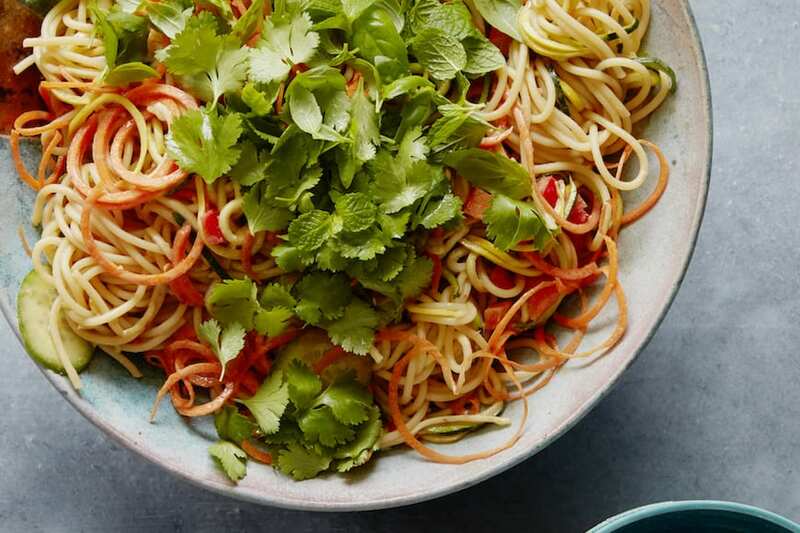 Extra crispy and salty and delicious – you can’t go wrong! On top of that you’ll get a dose of homemade carnitas, some shredded cheese, a bit of queso for good measure and then THIS salsa. Is your mouth watering yet? Mine is!! And I can’t wait to dig in come Sunday at kick off! 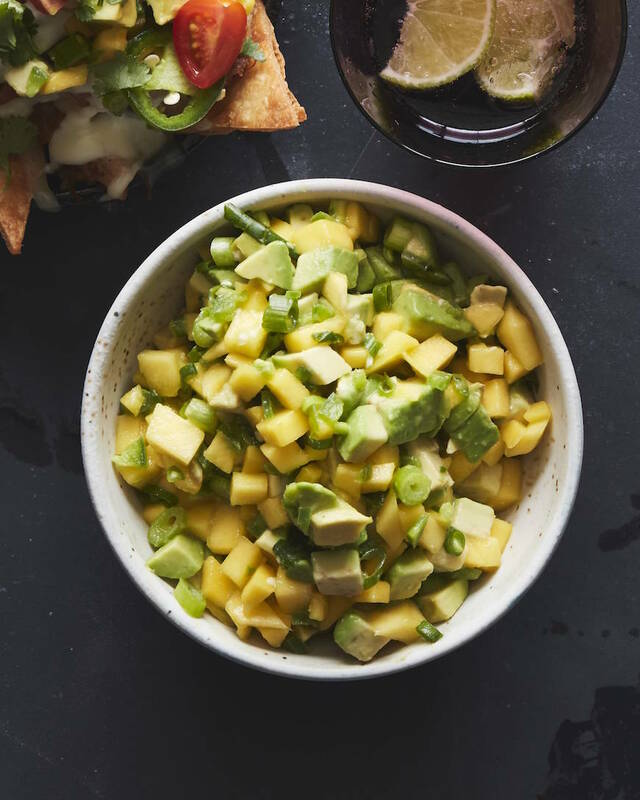 Combine the diced mango, green onion, lime juice, jalapeño and avocados in a medium bowl. Toss to combine and season with salt and pepper. 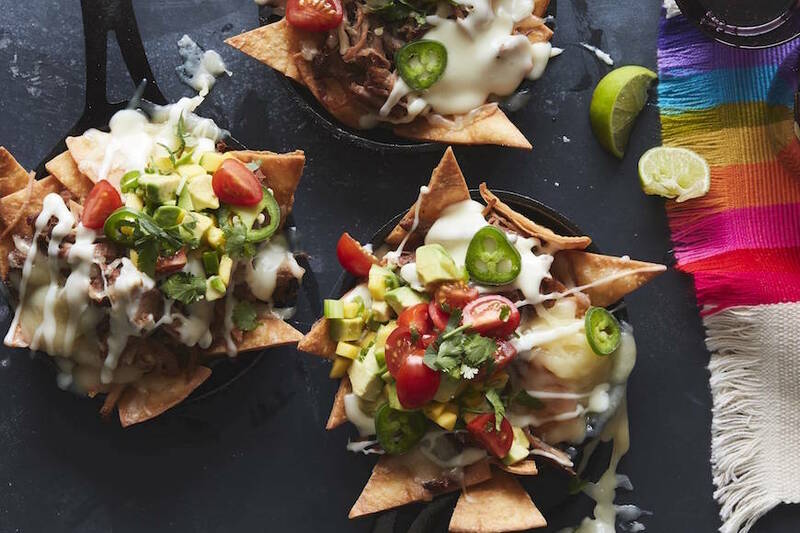 Using 4-5 small cast iron skillets, layer a handful of the tortilla chips and top them with the carnitas and shredded Monterey jack. Stick the skillets into a 350 degree oven to melt the cheese. Once melted, remove and drizzle with the queso. 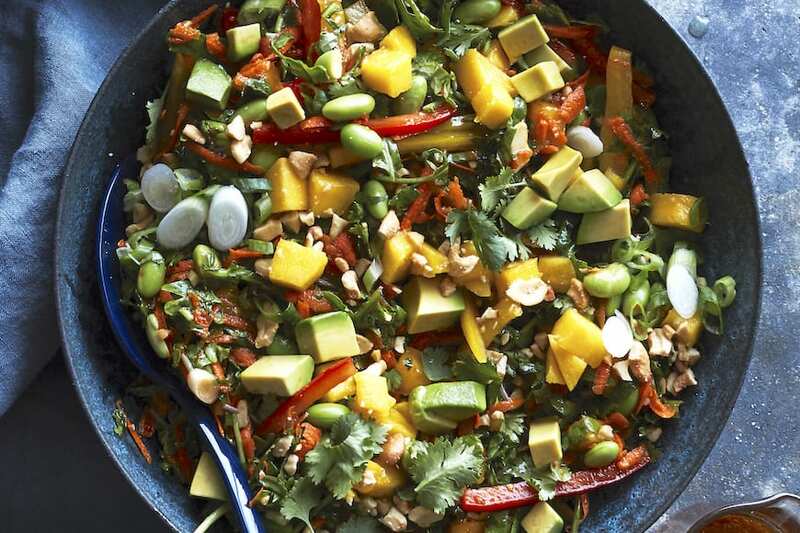 Then, sprinkle with the mango avocado salsa, cilantro, jalapeños, cherry tomatoes. 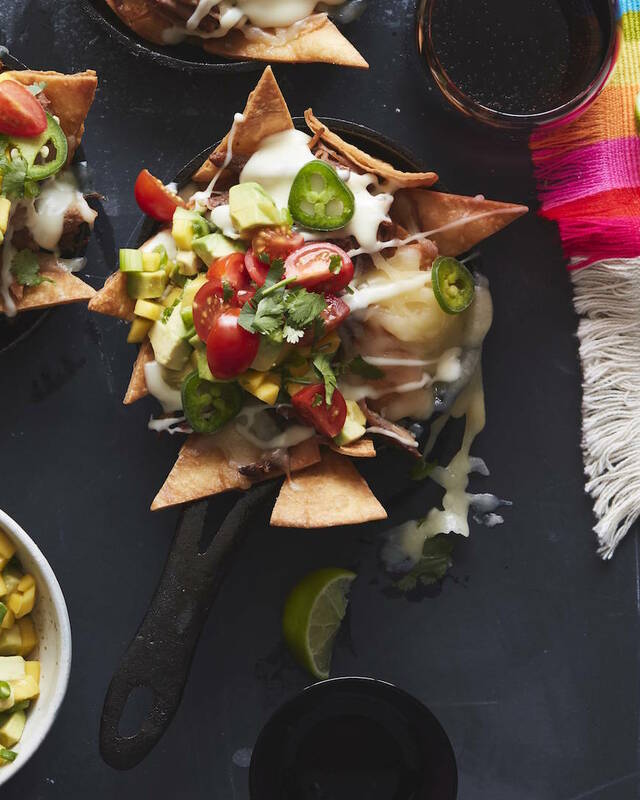 Nachos are always a hit in my house! 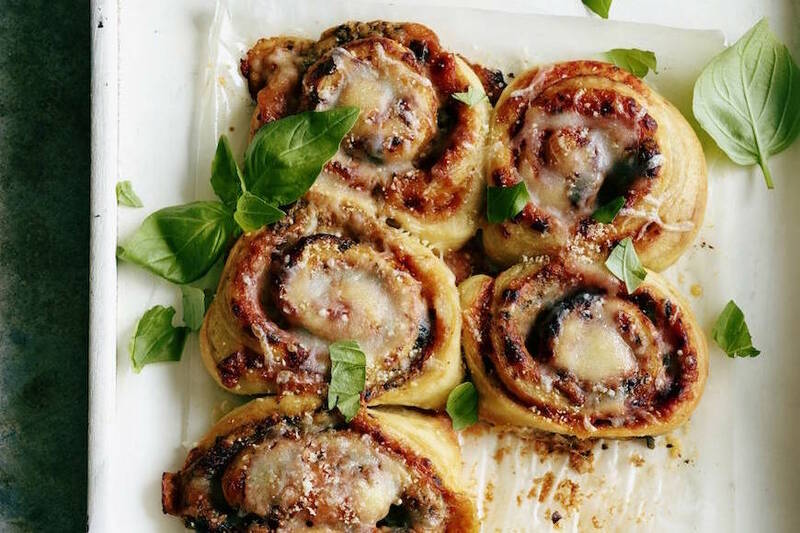 These could not look more delicious!! Where can I get the mini-skillets?